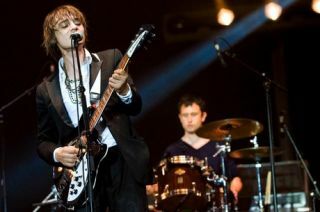 Adam Ficek has parted ways with former Babyshambles boss, Pete Doherty. Reports suggest that former Supergrass drummer Danny Goffey will be filling the vacated drum stool. It is thought that Goffey will take over for the band's summer gigs, although whether he will be a full-time replacement is unknown. Ficek will now be focusing on solo project Roses, Kings and Castles. The band released their self-titled debut album in 2008 and are set to follow it up later this year. You can check them out here.